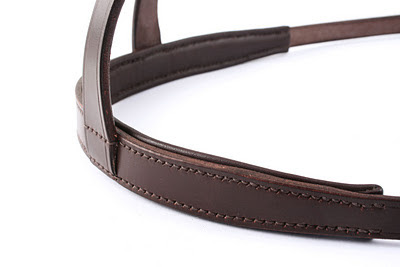 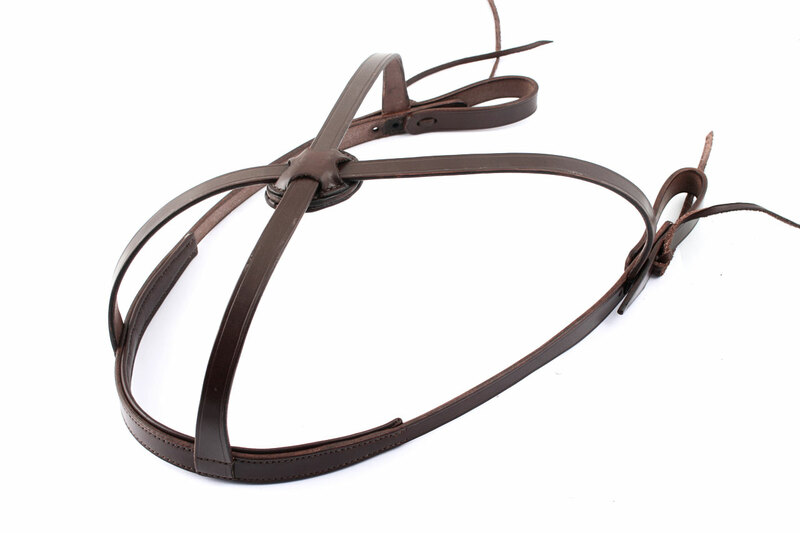 A really custom bridle, made in australian nut Sedgwick leather, for an american girl. 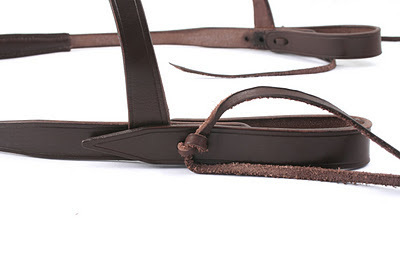 It features same color paddings on crownpiece and on sliding loop. More or less full size, even if cut on measures provided by the girl. 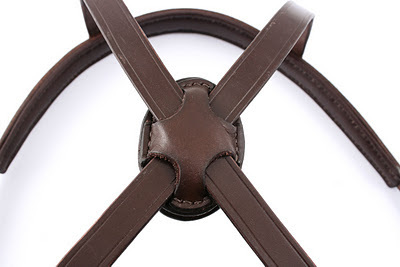 Anyway, water loops could provide some adjustment as they have 6 regulation holes on each side. 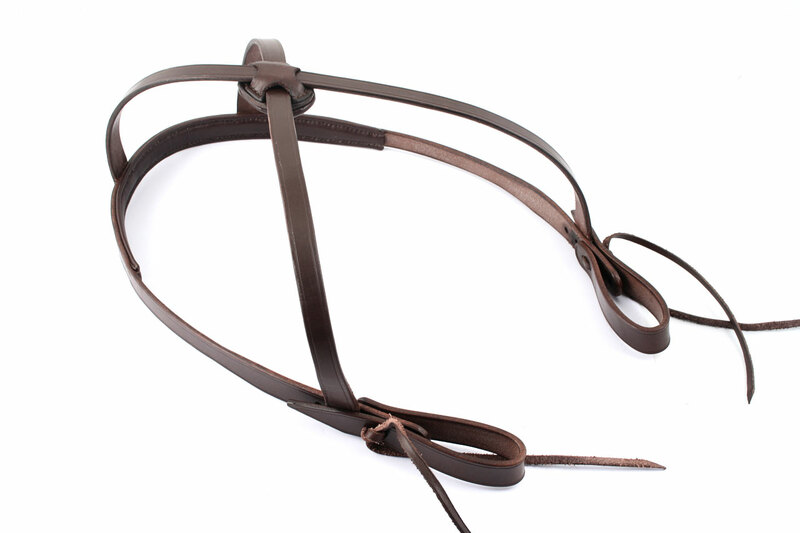 Another kind of regulation is made through the sliding loop: lifting or lower it will change bridle wearability.